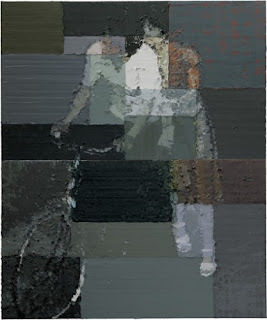 The best show of paintings I have seen in a while is by Li Songsong at The Pace Gallery here in NY. The paint bursting off of the canvas and the gradated panels of color all contribute to this unique and beautiful work. It's up through August 5 - catch it if you can!